It’s for a reason that many call Malta the ‘Blockchain Island’. The Maltese government has identified blockchain as the industry with the potential of becoming a new pillar of the economy and over the past two years, regulators, policy-makers and financial service providers have become increasingly interested in the blockchain space, and in particular, cryptocurrencies. Through a raft of new national legislation, Malta has become the first and only European Union (EU) country to look beyond simply publishing consumer/investor warnings, consultation documents and discussion papers on Distributed Ledger Technology and cryptos. The new Maltese laws target the DLT ecosystem as a whole, rather than simply focusing on regulating virtual currency associated business. We think that in the near future we could potentially see the Maltese State beginning to adopt a cryptocurrency- and blockchain-based mechanism for its services and operations. Malta is the first jurisdiction to set up a comprehensive regulatory framework for cryptocurrency and blockchain related services. It is for a reason that many call Malta the ‘Blockchain Island’. The administration has identified blockchain as the industry with the potential of becoming a new pillar of the economy and over the past two years, regulators, policy-makers and financial service providers have become increasingly interested in the blockchain space. The new Maltese laws target the Decentralised Ledger Technology (DLT) ecosystem as a whole, rather than simply focusing on regulating virtual currency associated business. Under this framework it is possible to obtain licences from the Malta Financial Services Authority (MFSA) for brokerage services, custodians, exchanges, and for a number of other cryptocurrency related services. It is also possible for ICOs to register a whitepaper with the MFSA. 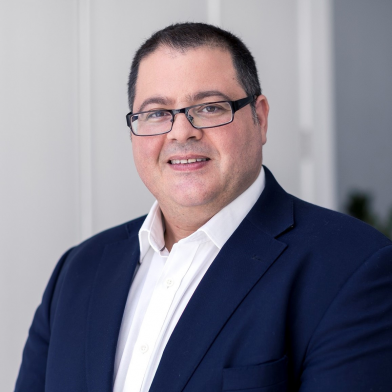 The framework also caters for the possibility of obtaining certifications by accredited auditors for DLT platforms and smart contracts from the Malta Digital Innovation Authority (MDIA). We also believe that in the near future we could potentially see the Maltese State beginning to adopt cryptocurrency and blockchain based mechanism for its services and operations.